Archivist Notes: The title of this podcast for July belies the importance of the subject matter discussed but it was felt what it was named defined it more accurately than it's original name of "Angels Are Devas". The entire angelic hierarchy needs to be completely expanded on to do the subject justice. Also, leaving out Karra's excellent dissertation on chakras would no longer be a part of the focus and it deserves its place for what it what she taught. Unfortunately it also is the victim of a technical error which took place during the taping of the first side. A loop developed within the tape's casing which starting winding the tape inside to a stretching point until it finally stopped the tape machine. Lost is more than half of the first side encompassing half of Kiri's talking and most of Omal's time channeling. What was lost is made up for in what remains of side one and anytime we can hear about Sirius from Kiri during her time speaking is worth leaving the side at just under twenty-five minutes. We apologize that the stretched tape made Kiri and I sound like chipmunks near the end where we switch speakers but it had to be left because the topic leads into what Treebeard will be discussing on side two. To start side one though, Kiri begins this much shorter channeling session as some on the base were getting ready to head off to Sirius for the Tri-base ski races including her sister who would take a break from packing to join the session. Right away we get to hear one of the longer sentences in Sirian we usually hear but without a translation of what was said. Talking about her field of flowers on Sirius we get a lesson on what it is to be sixth dimensional and how they try to live their lives. How we learn the lesson is through the example of the craftsperson creating a custom pair of skis after blowing hers out the year before. She and another Sirian of her acquaintance were examples of individuals that can be readily found on the third dimension as well who make you say, "enough's enough". People you will try to help to a fault but their need is never-ending. She finishes out her time channeling explaining the most mysterious of the subjects she knows well, the guides each person has but rarely know what they do. She sheds a little light on how the guides of two different people interact before there is an immediate transition to Omal due to the tape looping. Omal begins long after he started with a discussion on time and the various timelines that different races have. The three he uses as examples are myself, Sirians and himself. Each with a different lifespan so the perceptions of time differ with the race. We're not done yet though, we jump back into it on side two. Omal counts himself down to his return to the topic at hand but not for very long. We finish up his thoughts on an individual discussed by Kiri and the lessons learned by experiencing higher dimensions. From here on the tape works fine and we get into the heart of the channeling session starting with the heart of every channeling session, Karra. We launch into the second part of her dissertation on chakras and in particular the crown, throat and heart chakras. She treats us to a comparison of not only each of the three chakras to the rest of the chakras but also to sixth dimensional chakras. Details like rotational speed, thickness and how wide it opens or closes give us our best look yet of our chakra system courtesy of her studies from a book she had studied at her university on Sirius. She asks the technician monitoring the session for full control of Mark's body to demonstrate boosting the chakras. We then get a lesson on how to boost our own chakras in order to increase our mental abilities. Before she ends it's discovered that the boosting of Mark's chakras caused his body to levitate slightly though the weight reduction was only felt by Karra and reported by the monitors watching Mark's body mass. Luckily Treebeard had made it all the way to the end of the tape and was still awake so we get an eye-opening look into the unseen world. Devas, angels, gods and goddesses have been a part of man's history since man has had a history for good reason, they are as much a part of our world as we are. While our senses can't perceive them, our world has entities sharing it and Treebeard lays out that we are unaware of a hierarchy of beings working in unison for a common goal. We have been taught a lot of things over the years from our teachers on the base but in the mere ten minutes of tape that Treebeard spoke was some of the most mouth-dropping revelations we've been treated to yet and we're happy to be able to share the information this month. 1. )(0:00)- Kiri talks about leaving soon for Sirius and people she has known before on the sixth dimension, one who was unselfish to a fault and one who could be completely the opposite. 2. )(19:33)- Omal discusses time perspectives experienced over multiple species and dimensions. We also go over his function as a base commander in various Councils in moderating debates. 1. )(0:00)- Omal is on only briefly but in that time he reveals what an individual will face in the time between lives when it is a question of ascension. 2. )(2:29)- Karra provides a very detailed discourse on the crown, throat and heart chakras as well as a visual demonstration using Mark's body on how increasing the rotation increases the abilities. 3. )(34:21)- Treebeard rewrites what we know of the devic kingdom as well as the angelic kingdom and above in a dissertation where he unifies the two. Kiri: .........oh if you’re going to speak in dialect, I will do one better. Russ: I guess, this I’ve got to hear. Russ: hmm, let me try one, it’s been a while if I can remember.....Mekook? Russ: ha, got it right. Kiri: very heavy accent, almost unlegible but barely, almost gibberish. Russ: I’m practicing, I'll give it a shot. Kiri: okay buddy boy. I can’t stay too long……. Kiri: big sis has hoofed it because she’s got to pack. Russ: ahhh, off to Sirius is she? Russ: is it the ski races already? Kiri: they start……..well actually most of the team members of already arrived and I don’t have my heats until Thursday. Russ: hey good luck on it though, I hope for the best. Kiri: oh my finals are on Sunday and I’m a shoo-in…..
Russ: that should help a little bit. Russ: one less racer, actually two less racers to go against. Kiri: uh-huh no three......yeah two. Russ: oh yeah right, three because you’re racing against your own team. Russ: well good job, at least you made it. Kiri: oh yeah, Lyka’s already left. Russ: is she a dead winner? Are all the odds are now definitely on Lyka for the win and any bets on her at this point would be pretty well…….? Kiri: no, all bets that involve Lyka were declared null and void. Russ: oh that’s right because she’s pregnant. Russ: oh so then you wrote them all off? Russ: well congratulations on your field of flowers, I hope they do well with all the snow cover they’ve got now. Kiri: it’s very, very dense there and it’s going to be a late harvest. We’re looking middle to late May which means the prices are rocketing. Russ: have you sold your field? Kiri: sold half of it. Russ: surprised, I mean you sold......well you’ll get the rest sold while you're there at Sirius. Kiri: uh-huh well I’m going to keep probably maybe two or three dozen for myself. Russ: I have this vision, a vision of you getting on Sirius and there’s all these invitations waiting for you…..
Kiri: what you mean already waiting? Russ: “come to this party, come to that party.” “Oh Kiri, you’ve got to come to this party because I got all this great wine for you to try. Kiri: actually, I lost about six or seven dozen flowers, yes six or seven dozen flowers…..
Kiri: it was worth it. Russ: what did you do, what did you trade? Oh, a boot, skis? Russ: oh that’s, that’s more than worth it. Russ: I think you got away dirt cheap at that point. Russ: instead of a whole line of lingerie…. Russ: and yeah, yeah right. Russ: but still, it’s a worthwhile goal. Russ: the fact that these are prized skis. Kiri: yeah, uh-huh and also I’ve got to set up a deal for her involving a exotic dancer. Russ: anyone in particular we might know? Kiri: the hottest, most recent young star. Russ: yeah well good luck. Kiri: uh-huh, but the skis won't be ready until next year but that’s way ahead of what I expected. Kiri: uh-huh. And the skis I’m racing on this year they’re borrowed but I’ve gotten quite used to them. Russ: I’m surprised though, you'd think this girl who makes the skis has got so many orders that she doesn’t need the wine, she doesn’t need the flowers, she doesn’t need all this other stuff and…. Kiri: do you know what she does with most of the stuff that she receives? Kiri: she gives it away. Russ: that is truly a sixth dimensional concept. Kiri: yes and no, yes and no, the problem is that she doesn’t keep anything for herself at all. Russ: isn’t that sixth dimensional? Kiri: yes and no. Giving away is sixth dimensional, giving everything away is not. You’ve got to keep some for yourself, for your enjoyment, for your spiritual growth, she doesn’t. Russ: well maybe her spiritual growth includes nothing? I mean many monks and priests renounce everything, all worldly goods as they enter the priesthood for that exact same reason. Kiri: uh-huh but it doesn’t work. Kiri: uh-huh, she’s far from abstinent or celibate. Russ: that probably affects them mentally in the long run. Kiri: sixth dimensional is that certainly you give away, I give away a lot of stuff. Russ: uh-huh, I've seen it. Kiri: but you’ve also got to maintain and improve your current existence. You’ve got to better yourself, physically, mentally, spiritually, always striving for higher learning and understanding. With that also comes compassion…..
Kiri: and also knowing when to say, "okay that isn’t going to work, let’s cast it aside." It’s like some people on your planet, when do you say that you can’t help them, what do you do then? Russ: then let others help them. Kiri: but if they don’t, if they don’t learn continually. See learning's very important, continually improving yourself. You’re always learning new stuff for your computers right? Russ: and you’re always learning stuff with your job. Kiri: oh yeah with the engineering and Mark’s always learning things constantly striving and improving…. Kiri: struggling to be better, struggling for advancement. When do you look around and see others that aren’t, what do you do about them? If they’ve got no desire for no drive to improve? Russ: isn’t that their learning lesson, don’t you leave them to learn their lesson? You can’t interfere in their learning lesson. Russ: right, in that case you’ve got to let them…..there’s a reason for that. Kiri: uh-huh but at what point do you say that? Russ: Bill Murray, he comes back on the same day every day…..
Russ: and there’s this old man who he finds dying, a homeless man and every day he just keeps trying to help the man from dying that day and saying, “no, you’re not going to die this day.” Until finally it gets to a point and then he realizes there’s nothing he can do. Russ: the man’s going to die. Russ: is it similar to that? Kiri: yeah but you’ve got to at that point say, “okay, you’ve got to accept it.” You’ve got to accept that you cannot help them. I mean for example, when I was doing my doctorate on coercion right? Kiri: I worked with a group of………I don’t have the gene capability, I’m not a sub-super operant. You remember Bunny’s older sister, the one that we called the psycho one? Russ: oh yeah, yeah, yeah, right, I remember her well. Kiri: uh-huh, I worked with a group of individuals that were actually worse than that. Russ: oh is this light bothering you by the way? Kiri: I’m rubbing Mark’s eye whilst I’m rubbing mine. Kiri: and I’d like to go……..and pull it out but it’s an eyelash actually……..but there was.....I was working with this group and there was one young man in particular. I don’t think he should have ever of ascended, he was one of those interesting quirks of being a sub-super operant and a first timer which is almost unheard of. It’s not unknown but with the small population that we have it’s about fifteen million to one. Russ: isn’t that like Tonar the Corrupt kind of thing? Kiri: yes apart from this person was still very third dimensional, still in a third dimensional thought mode, did never understand the fact that they had certain obligations being spiritually more evolved supposedly on their home planet. His intelligence level by our standards…that’s the average IQ worldwide......for us, he never got above a five-year-old which means that his IQ level was very low. Intellectually he was.....it’s hard to describe. Anyway, the thing was I tried to help him, I tried coercing him, I tried laying out mental pathways by getting into his mind with coercive capability, I tried to program him, I tried to break down the doors and he was a sub-super operant but he was totally latent. Russ: in all four of his capabilities? Kiri: uh-huh, yep but if he had had the desire and the drive, he could of easily of pushed through those latent barriers. Remember most five-year-olds, sub-super operant children are latent. Russ: yeah but their training starts earlier than five. Kiri: uh-huh but they make the breakthrough when they’re five. Kiri: yeah I mean if they’re fully functional in one or two that’s fine, that’s easy we have programs but four, we don’t have specialized programs, that’s why we have the problems with kids like Leonedies. Kiri: but this young man, he was my age, no ambition, no desire, no wanting to. Oh he talked up a storm, talked up a fantastic storm on what he planned to do, how he planned to go about it as long as you would help him. “I need you to help me.” And it got to the point I’m trying to help, I’m trying to help and every time he just didn’t grasp it. Kiri: I told him that when he’s ready to advance and learn more to call me. Russ: oh you haven’t heard from him since? Kiri: nope, haven’t heard from him since. Kiri: as far as I’m concerned, I failed miserably but I learned from it, I learned that there are some people that no matter how much you like them……I thought he was a good guy, I thought he was a nice guy……..you can’t help them. Russ: too bad though, such potential. Kiri: there was no potential. Kiri: IQ, he would have been a trouble waiting to happen. Kiri: low IQ, low learning capability…..
Russ: so the reason he ascended was due to the fact that he was a sub-super operant. Kiri: yes, even probably on third dimension. Russ: right, but once he ascended, his learning lesson was to gain those skills that…. Kiri: uh-uh, you’re putting in your own……..nobody really knows. Kiri: yeah, what their learning lessons are. Kiri: we can speculate and with a certain amount of accuracy we can speculate about our own but others, no we can’t. Kiri: one of the biggest mistakes that I see on your planet is that a lot of your people say, “oh, your learning lesson must be…" "You’re going through this so it must be a learning lesson.” No, it could be a precursor event that’s going to push you in a direction that will lead to a learning or not. Russ: well we have a habit of interfering. Russ: for example, we're ready to go bomb Kosovo right now. Russ: the Serbs down there in Yugoslavia. Russ: because we feel we need to step in and take away all these people’s troubles. Russ: even though the second biggest superpower says, "no don’t do it." Kiri: oh you have a second biggest superpower, who’s that? Kiri: oh yes, the Russians. Russ: I think it's the Chinese now personally but…..
Kiri: I think you could be right. Kiri: actually it’s probably Great Britain. Kiri: actually I would say that capable-wise from what Tia's said in the past, I would say it’s Great Britain actually. Russ: hmm, I don’t know what their capabilities are militarily. Kiri: they don’t have a big force but they could strike much more faster than the United States because of that. Russ: that’s true. Probably with more accuracy and more…. Russ: abilities. Hmm, well anyway I hope…. Russ: yeah where do we say…..
Kiri: that’s a decision for each individual, I got to the point when I had explained over and over again the same thing. I think it was like the 10th or the 20th time and it was like.....and it wasn’t that long that it happened, it took like three months for me to reach that point. But it got to the point where my own patience was starting to be tried because I would repeat myself constantly and he would seem to learn and then he would revert. He would go great for three or four days and then all of a sudden you’re back to square one. Russ: well this brings up an interesting point because there is a conundrum I’ve been working on…. Russ: recently that I wanted to approach somebody about and you’re probably the perfect person to ask. Russ: and this would be involving guides……. Russ: okay? And how everybody has their own guides…..
Russ: and when two people meet, their guides tend to interact too. Russ: so, when we’re talking about working with somebody and asking ourselves whether enough’s enough, isn't that a question of the guides and listening to them and understanding that your higher consciousness and their higher consciousness are both on a communication that you or him or her do not understand but you have to follow instinctively maybe? Kiri: maybe but you’re pretty easy to read, I know what you’re saying underneath. Kiri: uh-huh but it was started by something else. But there is an interaction to a point, guides will look after their own, the host that they follow around. Kiri: and if they see that the host has a dislike for whoever, then that’s part of......the guides will protect and look after, after all it’s their job. Kiri: right they will guide you in a path that is beneficial away from the situation but if it’s unavoidable, then they will communicate with the other guides as an intermediate right? And see how the other party will interact. Kiri: and the people, maybe for whatever reason, don’t need to have that contact. Russ: hmm, okay. Hmm, interesting, now what happens on a world scale? Kiri: on a world scale? Russ: for example this thing we're talking about in Kosovo. Russ: how do guides deal with the fact that people are about to get bombed and so on and so forth? I mean how do guides deal with……..any clue on that as far as…..maybe Lyka would be a better person to ask on this? Kiri: yes she would be, unfortunately she’s not here. Russ: I didn’t think so. Kiri: the best way that I could answer that would be by saying that there are so many parties involved and the guides stay pretty close to their person that it would be difficult for them to react to other things until they happen. Russ: okay which I guess brings me to my next question is, is there such a thing as a country’s guides, the guide that looks over certain countries? Russ: that’s how it works, you have smaller entities and get all the way up to devas and angels and so on. Kiri: well angels are technically non-related to devas at all. Kiri: uh-huh. Or the other theory…..you’d have to talk to Treebeard is that angels are devas, just in other forms. Russ: right which is my feeling but who knows? Kiri: uh-huh, you'd have to remember that my grandmother and Treebeard work with devas. Russ: uh-huh, oh that’s one that’s good to know. Russ: well I’m sure that Laura and Skip will be here next week too. Omal: yes, you will have to schedule for earlier. Russ: yes definitely. Yeah, A’s still finishing up here, we had some tape left that just looped up and did a stop on us. Omal: no problem at all. Russ: all right, well I look forward to next week, that’ll be fun and we should have started earlier tonight that we had sushi that ran into it. Russ: raw fish on top of rice, a rather Asian cuisine, quite delicious. Omal: I will have to endeavor to indulge in some at some time. Russ: which should be quite a while. How’s that going by the way? Omal: we have it under control. Russ: I mean your life. Russ: uh-huh, I believe you were planning on evolving at some point here? Russ: well you have enough challenges to keep you happy, if challenges make you happy. Russ: then you have plenty to keep you entertained and happy for many, many centuries to come. Omal: you talk in the short term. Russ: oh, that’s true. But still it's tough for me to comprehend the years that you’ve seen and will see from this point on and understand the timeline you live on…. Russ: compared to what I deal with. Omal: tomorrow is but a moment…. Omal: next week is but a second, next year is but a minute. Next century is a little while. Russ: now this is an interesting point though, when a person like yourself……oh excuse me like myself…..
Omal: yes, when you desire to do so. Russ: when I desire to do so correct. So in essence I would be more understanding of the timeline you live…..
Russ: because I could look back on those times and go, “ahh okay, I remember back in Atlantis and when I stumbled across that bridge over there by the Great Pyramid” as opposed to now where it just seems like just like 39 years ago since I been born. But is that what gains you more……. Russ: perspective right, on moving upwards in dimensions once you get to the sixth? Omal: yes, yes, it is the long view that time is important but also irrelevant. If you don’t get it achieved tomorrow you can get it achieved next week. Omal: so each day is very important. Omal: to a Sirian, where a life expectancy is anywhere between 900 to a 1,000 years, tomorrow is not as important, next week is. To someone such as myself, next week, next year, next decade, after I finish my tea. Omal: and having a tea mug that I've been presented with, it may take me ten years to drink the tea. Russ: well how does working Council sessions where you’re working with people from different dimensions and different timelines…..
Omal: there is a certain understanding that if it is not dealt with within a time limit that is mutually agreed upon, then we will revisit it and lay down a framework which will accelerate the necessary debating process for the advancement of the topic. Omal: but the majority of individuals that are in Council meetings, there is no one that has a life expectancy of less than 800 years. Omal: and frequently an individual will conclude a dozen different situations and debates within their lifetime. I have concluded hundreds. Omal: or to revisit a debate. Russ: now when you were talking about the gentleman earlier, excuse me when Kiri was talking about the gentleman who she dealt with and you were talking about, what is the discipline that’s involved in……….? Omal: four, three, two........the growth is their own, it is also the growth of the individual that’s trying to help them but the two are not related, one doesn’t rely on the other. In Kiri’s case there was no growth, there was growth for her but not for him. Russ: hmm, but now on third dimension prior to his going, that could have actually turned out to be a very bad situation were he to be in a more third dimensional sense of the word……. Russ: he could become very corrupt and use those powers in a bad way. Omal: correct but by sending him back which is more than likely what will happen…. Omal: then he will have to relearn those lessons and in the waiting period he will have to face them head-on and plan accordingly and then the next time he tries to ascend he will be scrutinized much more or she, depending on what incarnation the individual goes as, will be much harsher and they will have to live up to a higher standard, a much higher standard. Russ: hmm, that’s good for them because they have the inspiration to have already been on sixth, they know what that’s like. Omal: unfortunately, with that kind of intelligence and the place that the individual was stagnant at, that is impossible. Omal: yes, very unfortunate. Okay, any more questions? Omal: okay, thank you very much Russ. Omal: live long, prosper......I’ll be back. Russ: I look forward to it. Omal: and I will line up some individuals for next week. Russ: excellent, thank you, I look forward to that too. Russ: hey darling, how you doing? Karra: oh I’m doing good, what can I do for you? Russ: well my love, we’re working on a bunch of good stuff tonight. Russ: Kiri was working on a lot of good stuff. Russ: uh-huh and we were…..
Karra: I think she does so well the fact that she was asked at short notice. Russ: yeah and she filled in quite nicely actually which is a just a question I had turned into a full dissertation. Russ: which is really quite nice. Karra: yes she improvises so well. Russ: yes she did. Anyway……..oh…..
Russ: we were going to discuss our phase two of chakras and…..
Karra: oh yes, yes, yes, yes, yes, sorry, my mind is on the trip. Russ: no problem darling, did you want to skip that and go on to something else? Russ: root chakra, first three chakras basically. Karra: okay let go and start from the top to the bottom this time so it’s the crown…. Karra: the throat and the heart. Karra: I thought it was crown, throat and heart? Karra: well the crown and the third eye are basically the same anyway. Russ: oh are they? Oh I thought it was two separate. Karra: well there are sub-ones but I’m taking the crown as these are important ones. Karra: okay the crown, the spiritual crowning glory, the spiritual center of the consciousness and it’s just a term. Karra: okay, the crown chakra and the revolutionary speed and the opening and closing capability. Now because this is a spiritual chakra that controls the spiritual growth and reactions and all the capabilities, it has a lot of power and surprisingly enough because of that does not rotate very fast at all. Karra: a normal third dimensional individual will rotate between 15 and 20 cycles a second as opposed to the lower chakras, I believe the root chakra rotates at 150 to 200. Russ: no because that’s in sixth dimension it rotates that fast. Karra: uh-huh you’re quite correct no, third dimension it’s 150 to 200 and on the sixth it’s about a thousand five hundred to two. Russ: I’m missing a zero that’s right. Karra: uh-huh. Now, on the sixth dimension the crown chakra will rotate at approximately 53 to 63 cycles a second, not that much difference actually is there? Russ: well it’s 35, 40. Karra: uh-huh but not that much difference, not a whole hundred. Karra: or almost a thousand. Karra: but the difference in speed is significant. Karra: when you think……..well it’s only 35, 40 cycles a second but it is significant. Karra: due to the fact that because the crown chakra has such a massive function controlling the spiritual and the abilities, the burden on it is tremendous. On a third dimensional level because the burden and the slow revolutionary speed, it will wear out faster than it will on the sixth dimension, especially with the longer life expectancy. Now the closing and opening is slower again as opposed to the root chakra. Even on the third dimension it is noticeably slower and it will not open as wide on the third dimension as the root chakra, it is also thicker. On the sixth dimension it is a little thinner and it will open much, much wider almost to full, almost to an invisible ribbon. That is because the polarity is actually starting to reverse. The idea is to or a common idea is to have all the chakras open and rotate at the same speed, doesn’t work that way unfortunately due to the fact that if the crown chakra was rotating at the same speed as the root chakra, it would be a little like a spinning top going off kilter. Because of the size of the crown chakra, it does have to rotate at a lower speed to create stability within the spiritual body and throughout all the chakras. The opening and closing on the third dimensional chakra with the bandwidth is more related to the intellectual level. With intellectual growth on the third dimension comes spiritual growth, the ability to focus and to increase one’s own chakra rotational speed. Okay that’s the crown chakra, you have questions obviously honey. Russ: of course. All right first off you mentioned wearing out…..
Karra: it’s a terminology, they start to pick up and slow down. They pick up all sorts of extraneous matter……well not matter but problems…..they start to break down because of the load that goes through them. Russ: what age does this usually occur at? Karra: but mental trauma, dysfunction of the brain, abuse of the brain, neglect of the brain, those will all accelerate the breakdown. Russ: like Omal said not learning one thing at a time kind of thing? Russ: or one thing a day? Karra: one thing a day. Russ: in computers, what are you talking about? Karra: okay it’s actually the thickness of the chakra. Even though they are invisible…..
Karra: the chakras vary in width this way and this way from individual to individual and from chakra to chakra. Russ: oh, I didn’t know that. Russ: now is this like a muscle? Karra: yes, the way it contracts and expands is like a muscle. Russ: what about the size of it? Russ: I mean being between individual to individual. Karra: yes again it varies in size from individual to individual. Russ: ahhh, okay, I understand. Karra: you had another question but you’ve lost it haven't you? Russ: no, I have no clue on it. Russ: it was something about oh yeah, I think you mentioned revolutions per....or cycles and I said revolutions. Karra: it’s about the same. Karra: yeah. Okay let us move down to the throat chakra. Karra: now the throat chakra is one of the smallest chakras but it’s also one of the most powerful. On a normal human being, a third dimensional human being and this is going to blow you away, the revolution is about 2,500 to thirty hundred cycles a second. Russ: yeah you weren’t kidding. Karra: now this is a very unusual and complicated little chakra which I’m not going to go into too much detail because this is where it gets difficult and technical. On a sixth dimensional being it’s actually much slower. Karra: about I should say 250 to 150. Russ: that definitely does not make logical sense. Karra: no it doesn’t but it’s the way it is. One of the reasons is the fact that the speech process and patterns are less important than the mental capabilities. Karra: so the chakra needs to work within that capability. Russ: does it have anything to do with telepathy? Karra: hence the reason why the crown chakra rotates so rapidly as opposed to the throat chakra. Russ: ahhh okay, got ya. Karra: see the reverse there. Karra: now because it is so important on the third dimension, it is a thick and heavy chakra and it has a wide bandwidth, almost a bandwidth of about an inch. It opens and closes are much wider than on the sixth. The sixth, it opens and closes quite slowly and rotates quite slowly and is much thinner. It is very common on the third for it to do what all the other chakras do on the sixth and to become almost a thin, iridescent ribbon whereas on the sixth that’s almost unheard of. The only person I think that would have it open and become almost an almost invisible ribbon would be Tia with her talkative skill. Karra: uh-huh, but her chakra rotates at a slower speed also because uses both her mind as well as her vocal cords. Karra: okay let’s answer questions on that. Russ: now on sixth dimension that’s more common for the other chakras…..
Russ: or stasis. So in third dimension with myself being a communicator, where would mine be rotating somewhere near there? Karra: and frequently it does achieve the thin, almost invisible ribbon. Russ: now when does this happen though? Karra: when the thought processes are being engaged. Because you need your vocal cords to communicate and the energy flow to them and to the crown chakra needs to be used so therefore it starts to rotate faster. Russ: okay, I get it. Interesting, so the two are connected quite closely. Russ: hmm, so the faster the crown chakra spins…..
Karra: uh-huh on the third dimension. Russ: on the third dimension. Karra: however, it’s the opposite on the sixth. Russ: the faster the crown chakra spins, the slower the throat chakra spins. Russ: I’ll be damned, I’m glad we brought this up. Karra: uh-huh, I told you it was a very unusual and complicated little chakra. Karra: now, I’ve only covered probably the first page out of the book…. Karra: on the throat chakra for the simple reason that it gets very complicated and very convoluted and there are quite a few things in there that sound like contradictions until you read further. Russ: we're not going to get to that. Karra: because it is so convoluted and complicated that it is hard to comprehend without first looking at more detail in the capability of each chakra. Karra: okay and as we're only lightly doing them and we have limited time, it is something that we will skip over and revisit in more detail other chakras. We will take a chakra and we will analyze it to death over a period of weeks. Karra: the heart chakra, the chakra that controls many different functions in fact it controls all other chakras. Karra: uh-huh. It is the master chakra however, if it reaches a point where it is operating very slowly and an individual becomes very unemotional, the crown chakra will take over and basically restart and reactivate and control the heart chakra. Basically it is the chakra that controls the other chakras as well as desires and a few other things that we will cover and as I said we're covering lightly at the moment because of the time limitations but at a future time we will revisit each individual chakra. Okay, the revolutionary speed of a heart chakra on the third dimension, 35,000 to 45,000, very rapid. Karra: it is rapid due to the fact of the existence of the individual. It varies from species to species as well but, the reason why it runs so rapidly is because of the life expectancy. Karra: on the sixth dimension it is about 75,000 to 85,000 depending on an individual and race to race. Karra: very rapid, very fast. Its opening and closing is actually quite slow in comparison to its speed. It seems that the higher the revolutionary speed the slower it will open, the lower the revolutionary speed the faster it will open. There are many different theories on why, many, many different theories and they do conflict. Basically, let us take both extremes. The extreme view is that the reason why it opens slower at a faster revolutionary speed is because all the other chakras are working at a much higher and faster speed, of course this is sixth dimension. Karra: with exception of the throat chakra. Now, what the heart chakra is actually doing is regulating the flow from below to up and to back down. The faster the processes of the other chakras with exception of the throat chakra will be regulated and the flow will fluctuate according to the desire and the necessary energy flow for that situation. The wider the chakra is, the more energy flow is deemed or theorized to be necessary. Okay the other side, the other end of the spectrum, the reason why it opens slower at a faster rate is to act as a braking system so that the energy flow does not overload the important chakras and the energy flow is detained and bottled in the throat chakra and held there until necessary. As the energy builds up, the heart chakra will open up wider until it is necessary for it to push through to the crown chakra through the throat chakra. See the two opposites? Karra: I’m not quite sure which to believe, as I said there are many, many different theories.  It is not fully understood why they do what they do or the heart chakra does what it does. By opening slower at a higher revolution as opposed to wider and faster at a lower revolution, it’s all very confusing isn't it? Russ: oh I got a bunch here. Russ: now this almost sounds a lot like a group meta-concert…. Karra: yes it does to a certain extent. Karra: yes, they’ve all got to work in cooperation with each other. Russ: well like the heart’s working like a conductor, the crown's working like a engineer or executive. Russ: and the rest are all working as…..
Karra: yes, yes it does actually doesn’t it? Karra: in fact the phrase that they use is orchestrating the chakras. Russ: group meta-concert, orchestrating hmm, interesting terminology. Well the one point on that is okay, if that is a fact, then when you’re working with this energy and let’s say for example you're working with a negative feedback loop…..
Russ: that energy is traveling through each of the chakras. Russ: now is the heart regulating that energy flow? Russ: okay, because it’s going through the chakras. Karra: okay what I’m going to do…..we’ll keep talking but you will ask longer questions and I will answer shortly because I'm going concentrate and……..thank you…..the technician has given me full control…. Karra: that means I can open up the eyes if I want but I’m not going to because I have to close my eyes up here. Okay, going to watch the body, it’s probably going to if I get it right will lift a little but it will definitely get a lot hotter. You watch the color in the cheeks and everything change and the color of the hands. Okay ask away and it may cause static on recording so you have speak up a bit, okay here we go. Russ: up the chain as it progresses. Karra: or down the chain depending on what is needed to be done. Karra: for example, by increasing the revolutionary speed and no problems yet, what is happening is…..let’s say I’m feeding down through which is what I’m doing the moment……I’m increasing deliberately the rotation and slowing down the throat chakra to a speed that is increasing and widening the abilities. We can try this sometime when you have a moment alone when there’s no external influences or anybody talking at you. Russ: okay. Yeah I see some more color coming to his cheeks. Karra: uh-huh. Okay ask the next question. Russ: what does that do to the chakras at that point? Karra: okay, as they rotate at a higher speed with the exception of the throat chakra and the crown chakra……what is.......not crown, heart chakra…..is that the enlargement that is occurring when you push them to the maximum which is what I’m doing at the moment……I’ve reached his maximum…..is increasing the energy flow and the abilities. Russ: hmm. And is this a permanent change in those or just a temporary change? Karra: depends on how they are used afterwards. Russ: so if they are used afterwards in any way…..
Russ: that opens up those various blocked doorways? Karra: yes to a certain extent yes. For example, using even just one ability 24 hours afterwards will continue to keep the energy flow going. Mark may be pleasantly surprised by the increased ease that he can do his astral travel. Karra: if it was you, it would be the increased ease in using your healing abilities or whichever ability you choose to use, manifestation, etc..
Russ: right. Now what I understand is we can do this feedback loop anytime of the day every day if we wanted to…..
Russ: and we could see an increase in our skills at that point. Russ: this is a great idea. Karra: there are certain drawbacks. Russ: I figured there would be. Karra: doing it repetitively day after day, you can actually increase to the size that you want however, by not letting the tissue or the chakras heal, giving them time to heal, they become sensitive and become damaged. Karra: if you let them heal too long, they build up something very similar to scar tissue which means that they become slower and more difficult to use. Russ: that's how we answer this then. Karra: uh-huh, so it has to be measured carefully and unfortunately it varies from individual to individual. Russ: now, the warning signs that you’re exercising your chakras too much are…. Karra: yes, physical pain, headaches…..headaches are not counted because that is actually the muscle working. If it is a too intense headache, what is actually occurring is that you are getting to the point where you are maxing out. Karra: but a headache is expected and normal. Karra: but when Mark comes back you might want to watch to see how much of a headache he does have. Karra: an acute headache will…..is a sign that you should stop immediately, a light headache is expected, a medium headache is a warning sign that you may want to stop if you go any further. Okay, pain in the stomach, the heart or the throat, stop immediately especially the heart. If the heart starts to feel irregular, shut down the loop, stop what you’re doing and relax. Karra: okay the only pain that I’m experiencing by getting his chakras to match mine is I’m getting a little, light headache. Karra: which I don’t think they’ve ever rotated that fast before. Russ: now what is the length of time that you need to rest between sessions do you feel? Karra: it varies from individual but a rule of thumb is probably somewhere between 48 and 72 hours. Karra: uh-huh. For some individuals it will be higher, for some lower. Russ: we each have a base for your Pacific…. Russ: pain the next time you do it. Karra: uh-huh. Now, the temperature in your room should’ve increased quite a bit. Russ: yes it did, it’s quite comfortable in here. Karra: okay his ears are turning red right? Karra: yes, very much so, hence the reason why his cheeks are very flushed, his hands are very flushed, in fact they're showing up almost as white on the monitors up here and his ears are starting to turn white. Russ: hmm okay, so this is good for cold weather too? Karra: uh-huh. Okay I'm actually I’m starting to get a little bit of pain so I'm going to start slowing every...…..nope it’s gone. Russ: working into a more advanced regimen later on once you’ve mastered a few basic……. Russ: hmm excellent, great for the webpage. Karra: uh-huh. Okay, I’m going to start slowing down everything back down as we have limited time. Karra: okay and we have a few other things to cover. Russ: what do you mean opps? Opps isn’t good. Karra: no, you want to see how far…..I’m not quite sure because we can’t see it but I think we have maybe a slight levitation going on? Russ: can’t tell, looks still firmly on that futon. Karra: oh he is? Okay because I’m…..
Russ: he’s not off the ground let's put it that way. Karra: yeah because all of a sudden the weight that I felt for his body because as I have full control I feel his body as if it's mine, suddenly the whole entire left side felt very light. Karra: did the body tip or anything? Russ: yeah it won’t do much good on tape. Karra: yeah because it suddenly felt a little disconcerting, that’s why I went opps. Russ: no, no nothing on our side. Karra: okay the color should start to return to normal in a second here. Karra: okay we're going to continue to monitor……..he was levitating on the left side. Russ: oh right side, well I can’t see the right side. Karra: because the body did roll a little. Karra: okay, anyway carry on. Russ: okay excellent. So in chakra use and the management of your chakras, just like your regular body it’s good to keep them healthy and these chakras are particularly responsible for the physical health of the body…. Russ: or is it the other way around? Karra: it’s actually how well your body will do, also diet is important. Russ: okay so that’s where the diet is helping the chakras…. Russ: but the chakras help the body. Russ: okay oh, also there was a question that was brought up about there’s a planetary conjunction coming up apparently? I didn’t know about it but apparently somebody at the café I go to told me about it. She was wondering what affects that might have on our planet here. Karra: asking the wrong person, don’t forget I’m not the astrophysicist or the physicist or the astronomer. Russ: maybe Kiri would better. Karra: yes it would be. Russ: I’ll check next week. Karra: okay we're going to continue monitoring his chakras. Treebeard: greetings, how are you function? You have I see understand, answer for without words. Treebeard: old Sirian help remedy, you have bark of willow? Russ: no but we have…. Treebeard: and a warm alcoholic beverage. Heat beverage with bark of willow and drink. Treebeard: feel warm all over and aid in relaxing body, increase in body temperature, speed up healing repairing process. Also sleep help when drinking bark of willow with alcoholic beverage and also quiet peace with no external input help. Russ: hmm, I like that, especially the alcoholic beverage part before sleep. Treebeard: you do not……..you have answer for me thank you, I think aspirin? Treebeard: did not know that you have different name, use name that all know to be able to comprehend. Russ: right and I used it quite nicely and it worked quite well, I feel much better now. Treebeard: ahh, you have done alcoholic beverage with aspirin? Treebeard: echinacea does not doing right thing, it is a thought process I look for word…..a…..I think within, maybe I should probe for word. Russ: you’ll probably find it. Treebeard: you think it works so therefore the placebo affect happens. Treebeard: example of power of mind. Treebeard: unfortunately should not have told you because now you know. Treebeard: this example of thinking hasty. Russ: that’s all right, I’ll find something else that will work just as good. Treebeard: willow bark and alcoholic beverage warm will work better. Treebeard: it is for real..........sorry, aspirin. Russ: yes, I do have aspirin. All right, got a couple questions tonight. Treebeard: okay hope you forgive me for hasty, inconsistent answer of pulling wool off your eyes. Russ: no, no, absolutely not, I can always use that. Omal and I were talking and Kiri were talking about angels…. Russ: and how they're related to devas. Russ: well she mentioned that you and her were of the same opinion as I am that there is a relationship there. Treebeard: they are being of same, just different appearance but different function also. Almost as you would be of saying different class? But same group. Treebeard: have different class have different function. Deva of high deity appearance are more powerful and important than deva of lower group that act as intermediates for higher deva. Thinking of deva on home planet have what would you call attendant devas that act on behalf of or for or under direction of head deva. Treebeard: you have deva that lot of people refer to in actual fact group deva? Refer to as God or a triple entity moon, sun…..sorry…..Son, Holy Ghost, father? Treebeard: triple entity actually more than just one or three, also have many attendant devas that act as winged ones? Treebeard: so therefore prime example of functions. Russ: wow, that says a lot. Treebeard: also hierarchical example of Zeus and lesser gods of ancient origin and muses? Another example of devas working as a group for common goal with lesser devas doing functional important assistance. Russ: now that brings up a good point, back in the Grecian Empire, Zeus was all-powerful. He was as we would call God and then below him were the other various gods who helped. Now were they talking then about devas and for them as with the Nordic with their pantheon of gods…. Russ: and our God, Jesus, the Holy Spirit, well in this case not Sananda and the accompanying angels, all three of those examples are all the same. Treebeard: yes, different groups of devas, one group doing one thing, another group doing another thing. If you look, they complement each other. The group that you call Grecian, more independent, loosely organized but working for common goal, triple entity that you mention that is group very compact working for common goal and objective but tightly organized and narrowly focused. Not as rounded as Grecian group as you call. Treebeard: your triple entity God is working for more tighter purpose but same objective just not as widely being of focus. Russ: but that’s actually a combination of devas then. Russ: I get it. So when you say hierarchy, you’re talking about all the way down the line to like a deva in our backyard. Treebeard: correct. Deva in back garden is on your place visiting as it were being asked to be present?